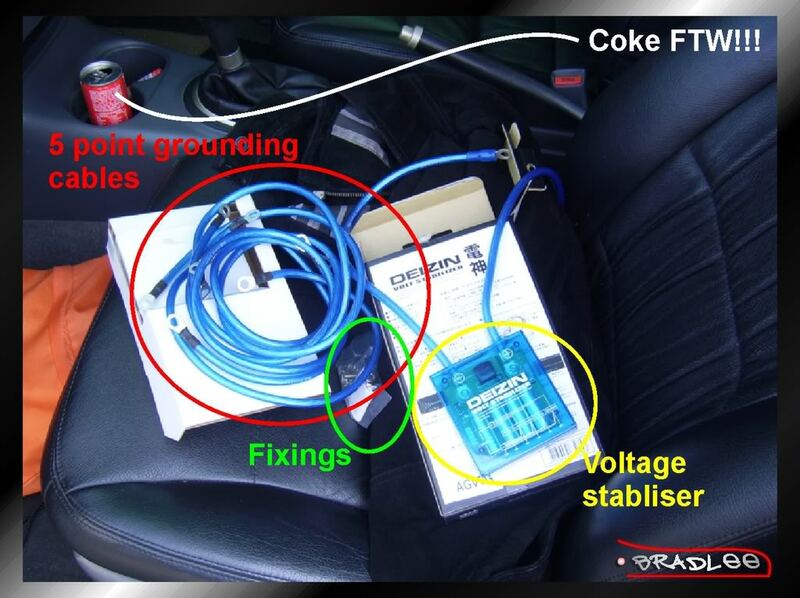 Ok first before we start the discussion, it is very important to know & understand that the grounding kit & voltage stabilizer is NOT a performance enhancing mod! It merely improves: Cars electronics. 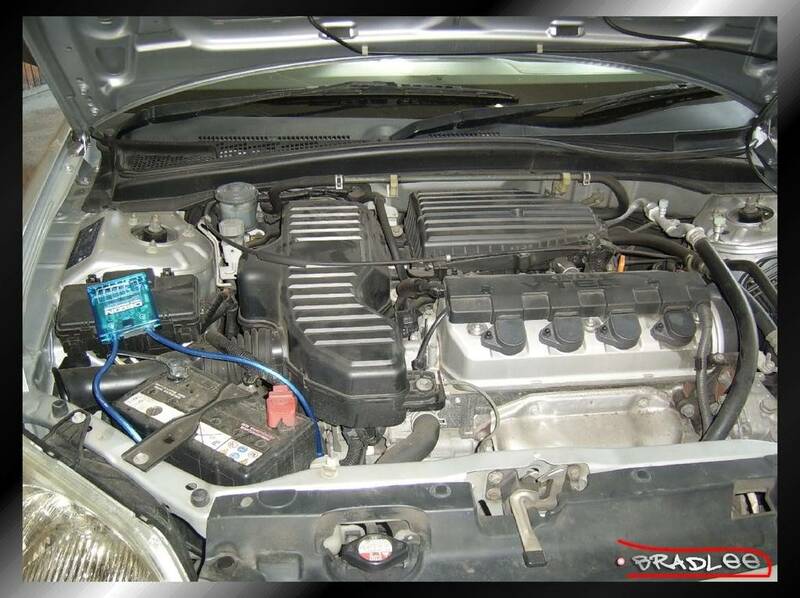 From that point on it leads to other attributes such as improved throttle response, improved audio quality, enhanced interior & exterior lighting of car, etc. this than leads to a 100-110% running car. Standard kits contain 5 grounding cables, with terminals at either end of the cables. All cables come in various lengths for easier installation. The really expensive kits have gold plated or anodized terminals & more grounding cables. I’m using a basic kit with 5 points for now. 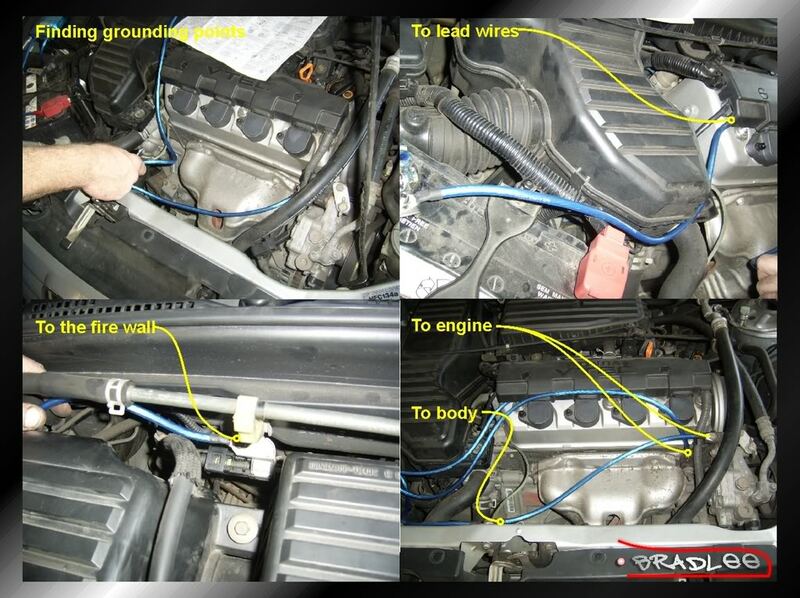 Positioning of the voltage stabilizer unit- The unit has to be fastened close to the battery as it connects to the battery. Ideally position it where the indication marks can be easily read & furthest away form the engine. As you can see I placed mine on top of my fuse box. Use double sided tape to fasten unit down. 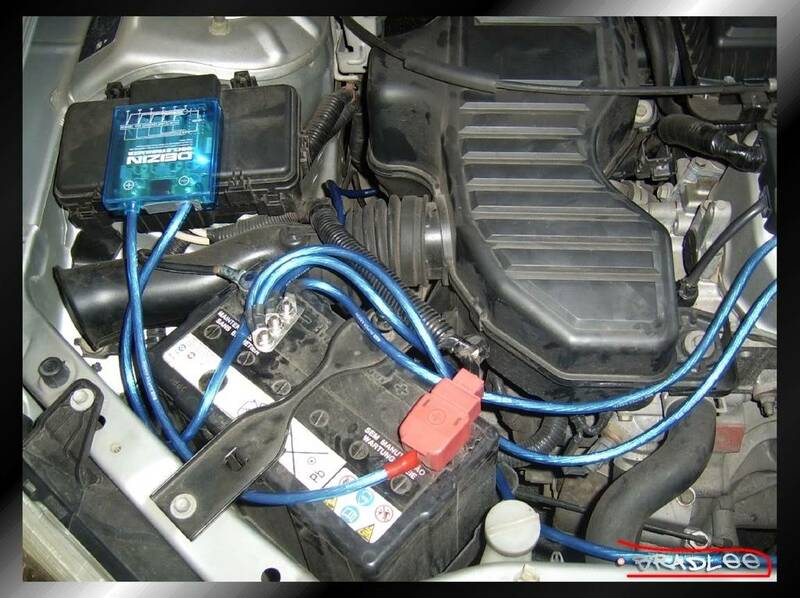 Connecting the terminals- Once the position is found connect the positive & negative terminals of the unit to the positive & negative terminals of the battery. Red for positive, & black for negative. We did the negative first. The negative terminal required the fixing of an adapter plate as well. 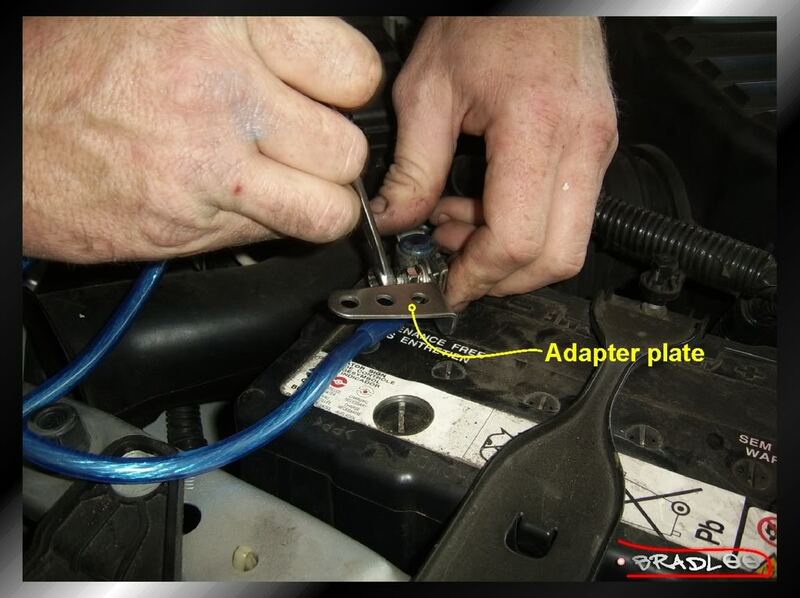 Adapter plates vary in size & shape, pending on kits. Mine had 3 mounting points for the grounding cables. connect the positive terminal & Oooo a cool “riced-up” light comes on. you will find existing grounding points on these parts (pending car model). 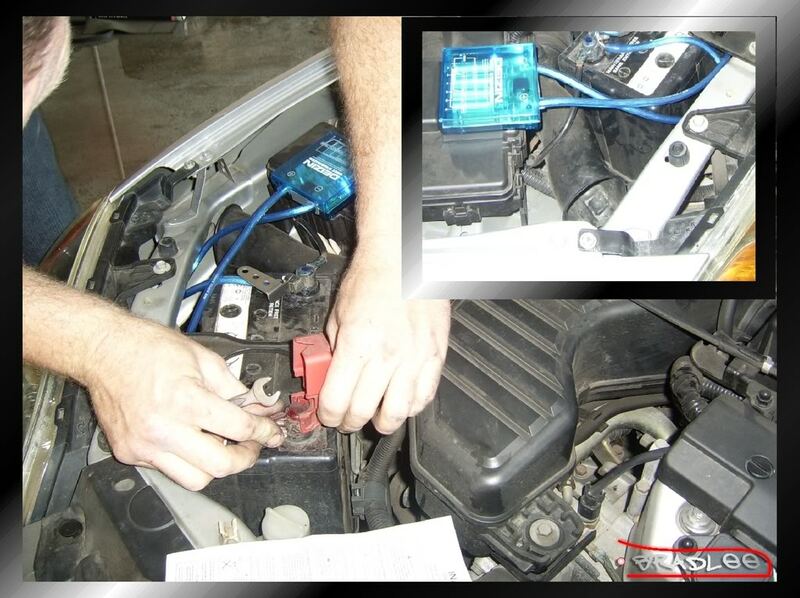 Instead of connecting to the distributor Greg connected it to the Lead wires. 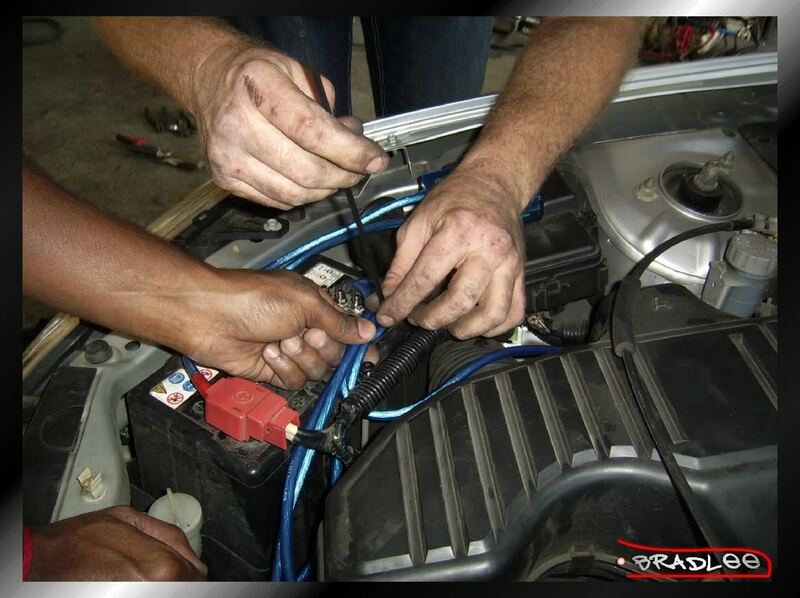 Checking- check all connection, fixing & fastening points thoroughly. -	The headlights on the car were brighter, especially the brights. -	Throttle response has increased a bit as well. Again I will state that this is NOT a performance gain mod so do not expect an extra kw or 2. 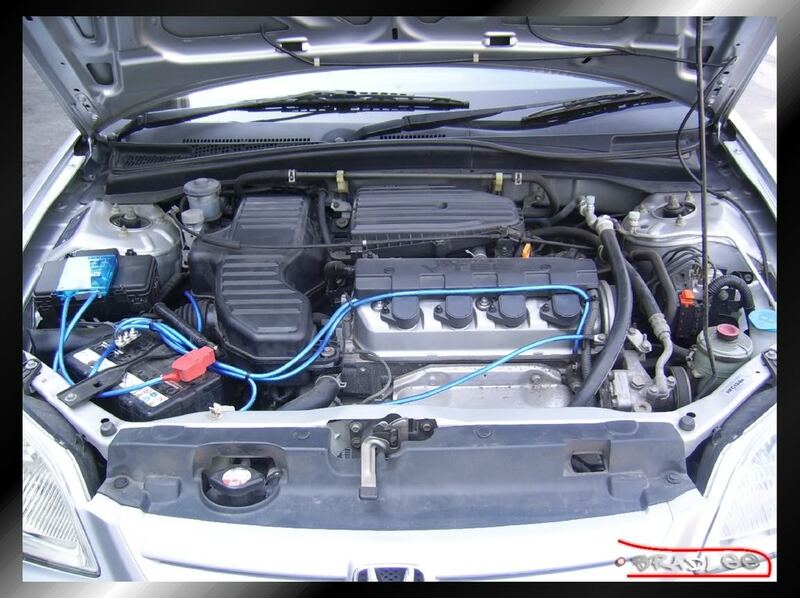 It’s a unit that improves the overall running of one’s car. I highly recommend this for guys with older model cars & those who have done engine transplants & Frankenstein conversions, you will defiantly notice the difference! Kits start at R325.00 so it’s well worth it! Thanks guys it was much appreciated! got from Jeremy (9000rpm forum) a long time ago. lol it's been sort of cleaned from that day.